I should have been driving up to camp early this morning to retrieve him. I should have been excitedly anticipating hearing all the stories about his first time as a "real" camper. I should have been worrying about whether or not the laundromat would be overly busy, and where should we take his laundry so that we could wash it all before the next session starts? I should have been setting up our room for three kids, his last time as a "day camper" as he transitioned from the first session (he would have been old enough) into the second session (not quite old enough to sleep in, but old enough to "day camp," a perk extended to faculty kids). I should have been wondering how I would have enough space in the drawers for all three of their clothes, and I should have been listening to him telling Solly and Yael all about what it was like to sleep in the cabins. I should have been teasing him about how tired he was, and how few letters I got, and how dirty his feet were. I should have been impressed at how dirty his laundry was. I should have been asking about his color war team, about Shabbat walks, about his favorite lunch and what he had for dinner last night. I should have been asking him if he planned to come back next summer and I should have heard the answer "yes, for the whole summer, mom." I should have been drinking in his little face, away from me for two whole weeks, and marveling at how grown up he seemed, how much taller he must have grown, how much he needed a haircut. I cried as I drove up to camp today. Because I know exactly how it should have been. On our way up to camp this morning...talking about Sammy much of the way. I met my husband at summer camp and I know it will always be a big part of our family's lives. I can't even begin to feel what it must be like for you going up to camp without your Sammy. Wishing you a fun, peaceful, restorative (and sometimes crazy because it's camp!) time at camp this summer. Indeed; just what you should have been doing. 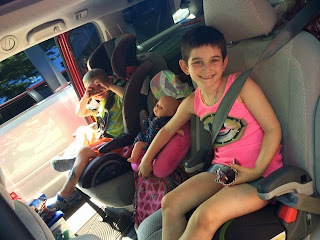 So glad Sammy was in the car in everyone's chatter, and at camp in that feather. Hugs (and a few tears in reading this). Camp. I never went to camp. Now I'll never leave. Thank you, Sammy. For the feather. 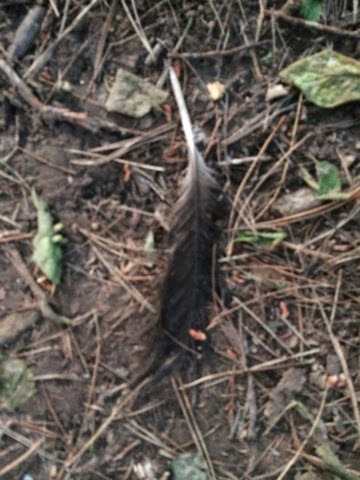 saw a feather in my yard yesterday and thought of sammy. i think i always will.